This is a quick summary of a great article that published in Facility Executive Magazine on five ways that window films can be used to improve your facility. The article hits on several of the key ways that building owners and commercial property managers integrate window films to improve commercial spaces. Energy Conservation: Up to 30% of any building’s cooling and heating load is through windows. Installing window film reduces the stress on a facility’s HVAC system. Many films block up to 80 percent of the sun’s heat, helping to cut cooling costs. Safety and Security: Windows and doors are the most vulnerable parts of any building. They are easy points of entry for people who may mean harm to the occupants, the building itself, or its contents. When professionally installed safety film is added, the glass doesn’t shatter, delaying the intruder’s entrance, and allowing local authorities to get to the scene in a timely matter. Health and Comfort: The Skin Cancer Foundation recommends solar control window film to protect healthy skin and prevent premature aging. Window film lets natural daylight in, but blocks up to 99% of the sun’s damaging ultraviolet rays, and up to 80% of the sun’s heat protecting the building’s occupants and preventing interior furnishings from fading. Employees are also more productive and comfortable thanks to window film reducing solar glare, not only on their computer screens but throughout the entire building. Green Benefits: Nearly 75% of windows are not energy efficient, according to the Environmental Protection Agency. Window film installation costs a fraction of new window replacement, and accomplishes many of the same goals, as well as going a long way in reducing a building’s carbon footprint. 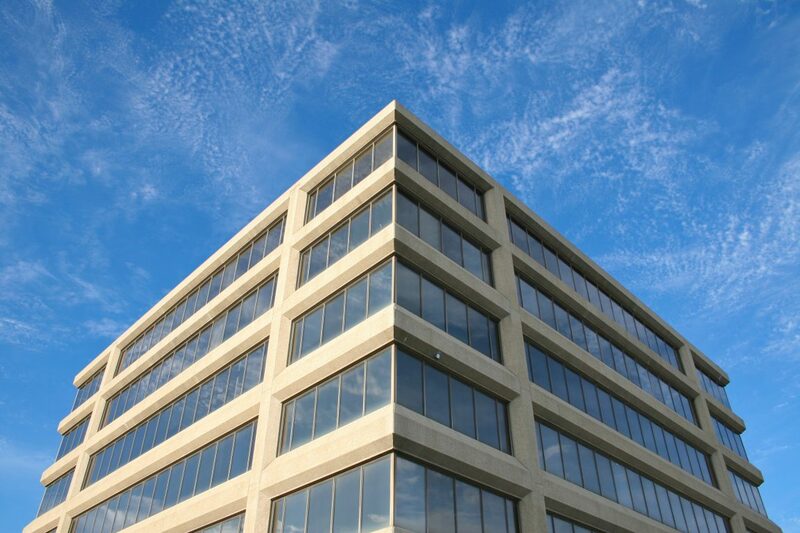 Aesthetics: Window film can improve the aesthetics of any commercial building. By improving the look of dated windows with film, the whole building will appear as though it had a modern facelift. Many manufacturers also offer decorative films that can add style, privacy and create a unique interior design. With certain styles of decorative films, facility executives can even achieve the look of etched glass at a fraction of the cost. If you would like more information on the ways that window film can improve commercial spaces, click HERE. If you have any questions or would like to arrange a free, no obligation quotation, contact us by calling 563-690-0057 or emailing us at llumartint4u@msn.com.